Good morning, welcome to my first 2012 Scrap-mart blog post. 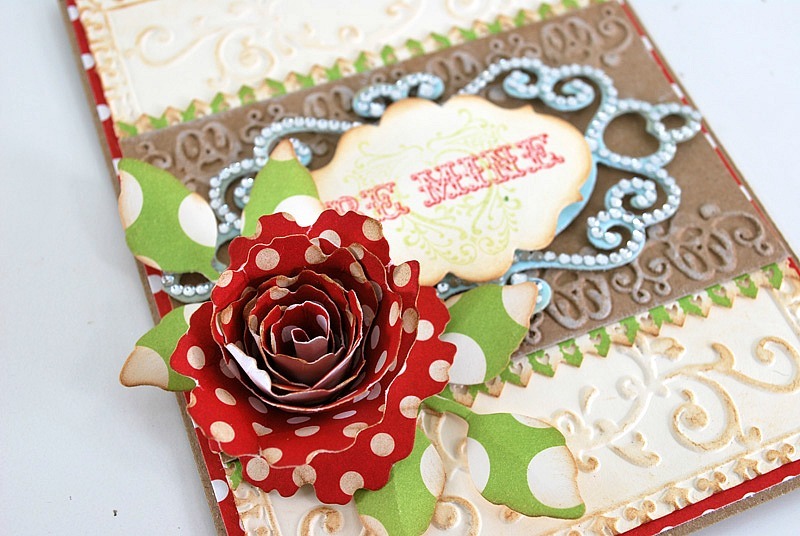 If you haven't heard our blog posts are being changed, as instead of our designers posting on the Scrap-mart Blog, this year we are all posting on our own personal blogs sharing our creations with products you can purchase at Scrap-mart. My card today is focusing on Justrite Stampers stamp, Dry Embossing, Spellbinders and coordinating Want2Scrap bling. My paper choice is by Canvas Corp, perfect for my Valentine's day card. The stamps are called Winter Words by JustRite Stampers, which I paired up with Spellbinders Fancy Tags Two, which has a coordinating Want2Scrap Nestabling. 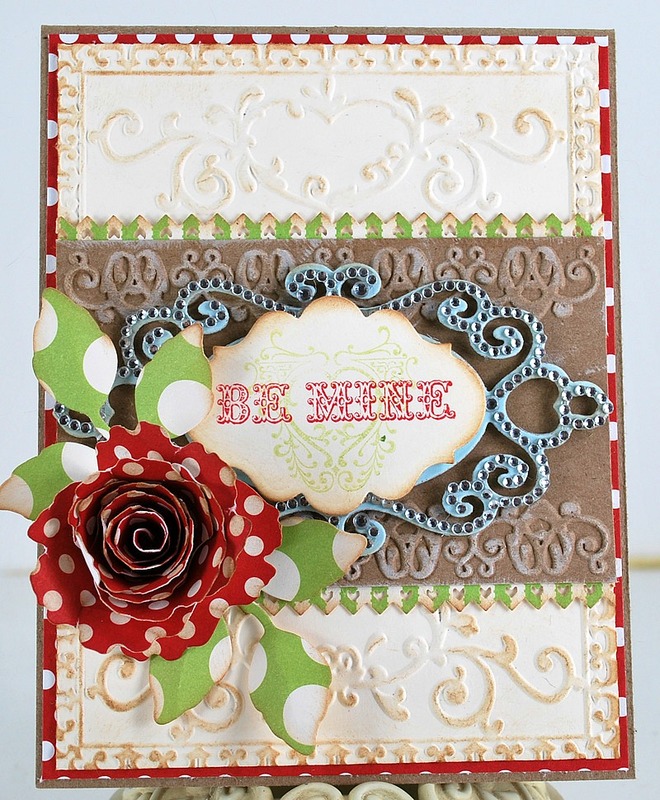 I also used a few more Spellbinders on this card: Labels Twenty, Spiral Blossom One and Foliage. Here is the closeup of my card. Well, that is it for today. Hope you enjoy this card! Thanks for visiting!